It’s always a pleasure to have the ability to train UFC fighters and while I was in Thailand I had the chance to train a few. 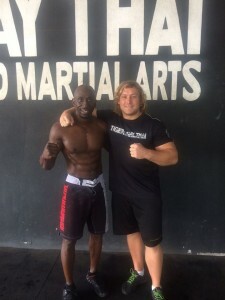 One fighter who was extremely receptive to my workouts was UFC Lightweight Nick Hein from Germany. When a fighter is eager to learn, motivated to improving his/her strength and conditioning and ready to give 100 percent during each session, you can’t ask for anything more than that. That’s the mindset you need to take when training, whether during technique class or in your conditioning. It needs to be full effort with the intention of making yourself at least 1% better then you were before you started. Today I have the bodyweight workout that I took Nick through while I was at Tiger Muay Thai where he is training again for his next fight. The goal for Nick this time around is to keep his walk around weight down seeing that the UFC has taken the away the use of IV’s for fighters to help rehydrate after weigh ins. This is forcing many fighters to either fight at a heavier weight class or start to walk around closer to their fight weight. So we are implementing more metabolic bodyweight circuits that target cardio, endurance, explosiveness, power, core strength, agility, mobility and speed, while also cleaning up the nutrition. If all goes to plan, Nick will be able to cut weight and rehydrate much easier while staying strong, powerful and possessing everlasting cardio. Perform as many reps as possible of each exercise for 45 seconds of work followed by 15 seconds rest one after the other. Complete all 8 exercises and rest for 90 seconds and repeat for 3-5 full rounds. Warning: This workout is not for the faint or weak at heart. In other words this is BEAST Certified! Hey guys, It’s Friday March 11, 2016 and the wife and I just got back from a BRUTAL Leg workout I put together. Anyways here is the workout breakdown for you! Today I am brining you a full strength & conditioning circuit that I used with MMA fighter Andy T of www.EvolucaoThai.com who is 4 weeks out from his fight. We use this style of workout to help improve strength endurance, explosiveness, core strength, agility, cardio and the byproduct of this type of high intensity metabolic circuit is fat loss and improved fitness. If you have access to this equipment then you can set up a circuit like this at your gym. Perform each exercise for 60 seconds followed by 15-second rest one after the other. Once you complete all exercises rest for 2 minutes and repeat for 3 rounds. Your neck takes a beating during Muay Thai and MMA training. You take punches, kicks and elbows, you get pulled and twisted in the clinch and when grappling your neck is a great target for injuries. Ensuring that you have some neck strengthening sessions in your overall training is essential to help negate injuries but also enhancing your performance and durability through fights and training. 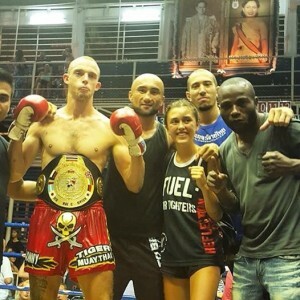 Today I have Jonny Betts who is a muay thai champion living and training in Thailand at Tiger Muay Thai. He is well known for being dominant in the clinch and delivering devastating knee strikes. 4 great exercises for neck strength from muay thai champion living in Thailand Jonny Betts. Your partner provides resistance while you raise your head. 3 sets of 25 repetitions. The resistance needs to be enough so it’s hard work but not so hard that you can’t complete the set. Wrap a towel around a rope attached to a weight. Fully flex and extend your neck while biting down hard on the towel. 3 sets of 20-50 reps. The thicker the towel is that you use, the more it will work your jaw muscles. Rock back and forth from the base to the tip of your skull. 3 sets of 20-50 reps. Hang off of a ring or bench with your shoulder blades off the edge. 1 set of 50-100 reps on all 4 angles. Here is another way to use Tabata circuits to get a killer workout. I put together a 10 exercise circuit using the Tabata protocol (20 seconds of high intensity work followed by 10 seconds of rest) for each movement and to give it a kick, I added some rotational movements, explosive and endurance based exercises. 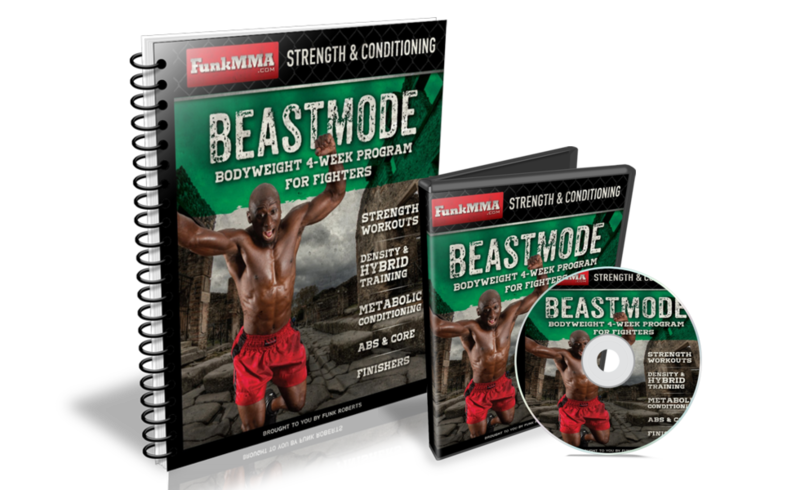 This will give you a full body MMA style workout or just a fit like a fighter circuit (so you don’t want to get hit in the face). Also another way to burn fat while keeping your muscle. Perform each exercise for 20 seconds of work followed by 10 seconds rest for 6 rounds. Rest for 1 minute and move on to the next exercises. While I was in Thailand, I got the privilege of training along side many muay thai champions from around the world. The amazing thing is that for most of them they displayed incredible cardio…and that was due to the countless pad sessions, long runs and sparring that goes on everyday. The one missing link for many muay thai fighters and other strikers is explosive power development. That could be due to not making the time to step away from the ring, into the gym and training for power or the lack of knowledge in regards to what exercises and workout schemes to use. 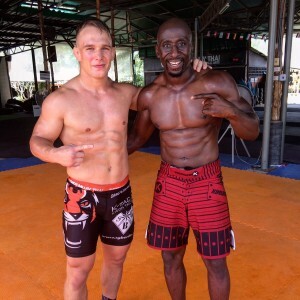 Enter Coach Woody form Tiger Muay Thai, who has trained thousands of fighters from around the world, including multiple muay thai champions, UFC fighters and Pro MMA athletes. Many of his muay thai fighters are known to have explosive power because he takes the time to get them into his paws and harness this physical attribute that will set you above your competition. Check out this awesome Power Workout Coach Woody puts me through while I was at Tiger Muay Thai earlier this month. It’s that time to look back at the year that was and highlight my best workouts for MMA, Martial Arts and Combat Athletes of 2015. This is a great MMA workout using high intensity metabolic training. If you are a fighter try this MMA workout to help improve cardio, endurance and conditioning. Preparing this fighter for his upcoming Pro MMA fight. Perform each exercise for 45 seconds followed by 15 seconds rest. Rest for 2 minutes and repeat for 2 minutes and complete 3 full rounds. Anyway today I wanted to finally unleash a new Creatine supplement that I have been taking for the past 6 weeks. I hadn’t been taking any creatine for many years because I just couldn’t find anything good worth taking out there. It is all basically garbage. 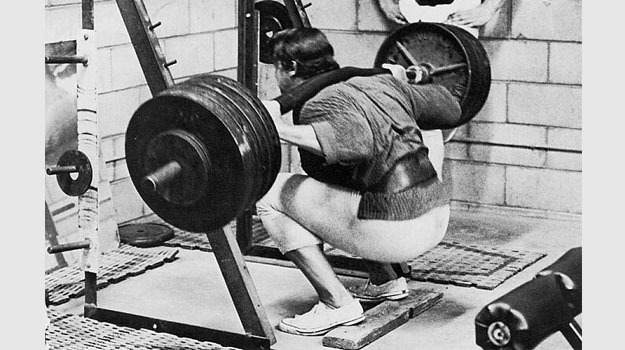 And don’t get me wrong…CREATINE IS AWESOME! It’s the most studied and verified supplement on the market. And a high quality monohydrate is a prerequisite to any strength, muscle building program or any MMA, Martial Arts and Combat Athlete who is training often. The other great thing about creatine is that it helps with recovery. People don’t think of creatine as a recovery tool, but it is one of my favorites. I do muay thai, wrestling and train with weights for my tendons, ligaments and muscles thank me for using creatine. The crappy thing about a lot the creatine supplements out there is that they cause bloating, force you to drink a ton of water and want you to do a week of pre-loading not to mention the supply you spend your money on doesn’t last long. The other drawback with creatine: you need sugar / carbs for absorption of the supplement. Enter the Enhanced Creatine Formula that I have been taking to help me increase strength, build lean muscle and recover from training faster. What makes this formula different and more effective is that it uses a herb called Fenugreek to maximize efficiency without the fattening sugar. Using fenugreek with creatine instead of sugar keeps you leaner. Fenugreek is an herb that helps creatine absorption without carbs. I haven’t ever experience the strength gains and lean muscle that I’ve got from using this Enhanced Creatine Formula. Also I’ve been using my Intermitted Fasting diet with my HIIT workouts, this creatine that helps to stay lean while getting strong. I’ve never looked, performed or felt better for this amount of time. And as a combat fighter, creatine is a must in your supplement cabinet. To think that any supplement is your path to your ideal body is silly and lazy, but it’s also lazy to not do the research behind the supplements that actually work. As an athlete you need to add supplements that will help you recover faster, keep you healthy and strong and help you see benefits from your training. In this video Funk goes through the ultimate kettlebell workout that only takes 10 minutes to complete. This is a full body kettlebell workout.